Join us for a Neighbours Gathering in the Presentation Brothers Hall on Monday September 26th at 20.00. 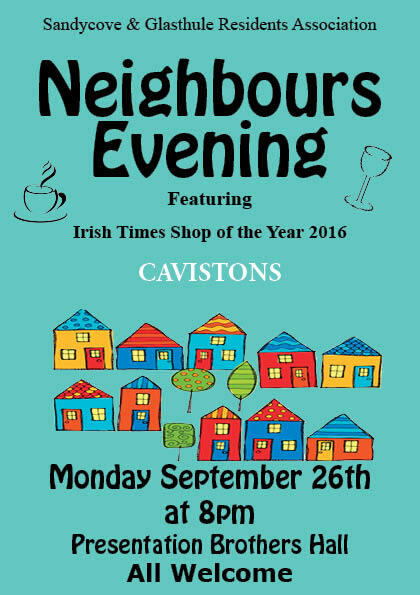 Featuring Irish Times Shop of the Year 2016, Cavistons. Looking forward to seeing you there for what should be a very interesting evening.